Filmed in Detroit itself, the new video for forthcoming single is a stunning visual accompaniment to the classic Texas track. 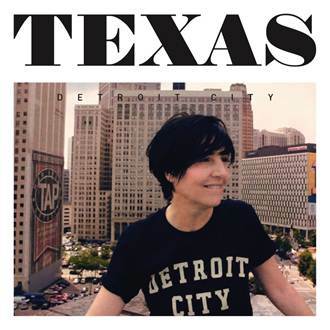 It’s a storming track that has an infectious pop melody and killer singalong chorus courtesy of Sharleen Spiteri’s trademark soaring vocals, set to a contemporary melting-pot production that spells a surefire summer anthem, that we have always loved from Texas. Texas’s eighth album, The Conversation is their first release in eight years and is the latest in a career that has seen the band sell over 30 million albums worldwide with a succession of multi-platinum albums in White on Blonde, The Hush and Greatest Hits. Texas will be taking to the road this coming November for a full UK tour and definitely a gig we are SCP would love to see. If you are heading to watch these guys, make sure you send us your review..! Check out the new track below and grab you copy of the new album on iTunes now..!